Rod was born and raised in Vancouver attending Magee High School and The University of British Columbia. During those years Rod competed at high levels, provincially and nationally in baseball, hockey and golf. 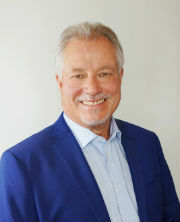 After obtaining a Bachelor of Commerce Degree from the University of British Columbia, majoring in Urban Land Economics and Finance, Rod was first licensed as a real estate agent in 1978. In 1982 he co-founded Maude, MacKay & Company Limited, a real estate sales and management company, where he is now the president and managing broker. Married to Melissa, they have 2 adult children, Annie and Roddy. Rod has been very active in coaching for the past 16 years with Kerrisdale Little League, Westside Minor Softball, Kerrisdale Soccer and Vancouver Community Baseball. Consistent top producer, Rod has built a reputation for service with integrity, honesty and hard work. Rod was a past member of the Medallion Club of the Real Estate Board of Vancouver, in the top 10% of Greater Vancouver Realtors.